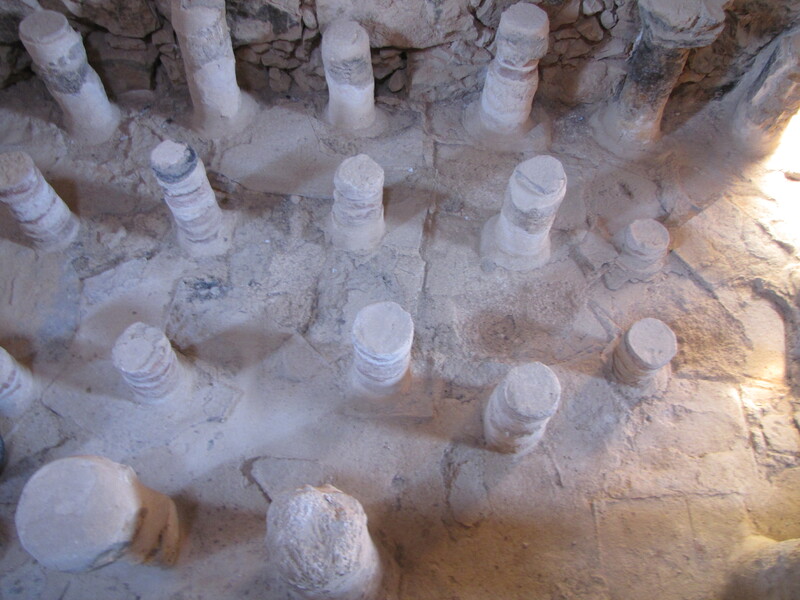 I might be one of the few people in the world who actually enjoys sleeping on the floor. 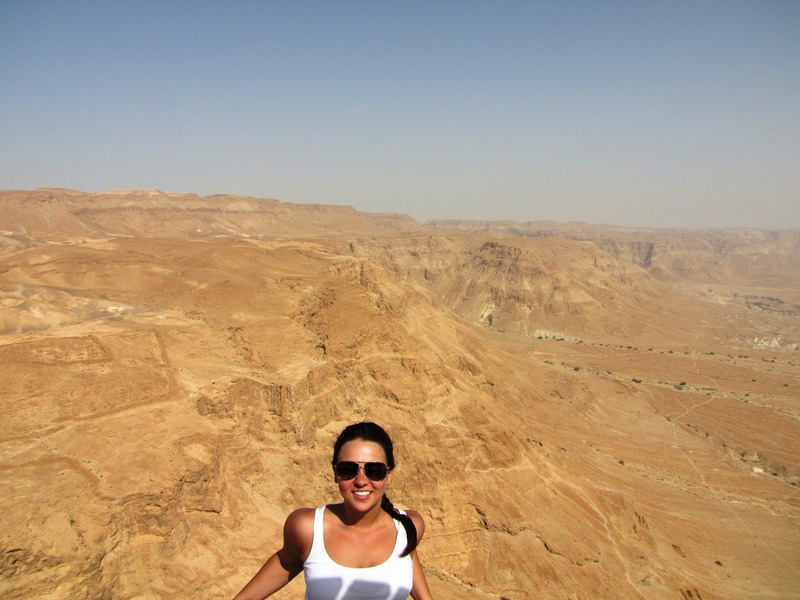 I woke up feeling very refreshed and I was excited and ready for our hike up Masada and to finally swim in the Dead Sea. 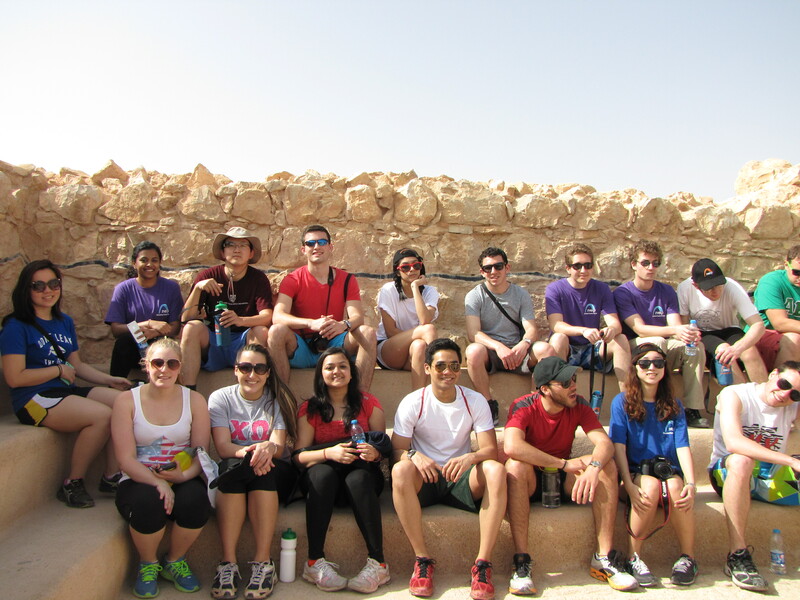 We enjoyed a Bedouin breakfast, gathered our belongings and set off. 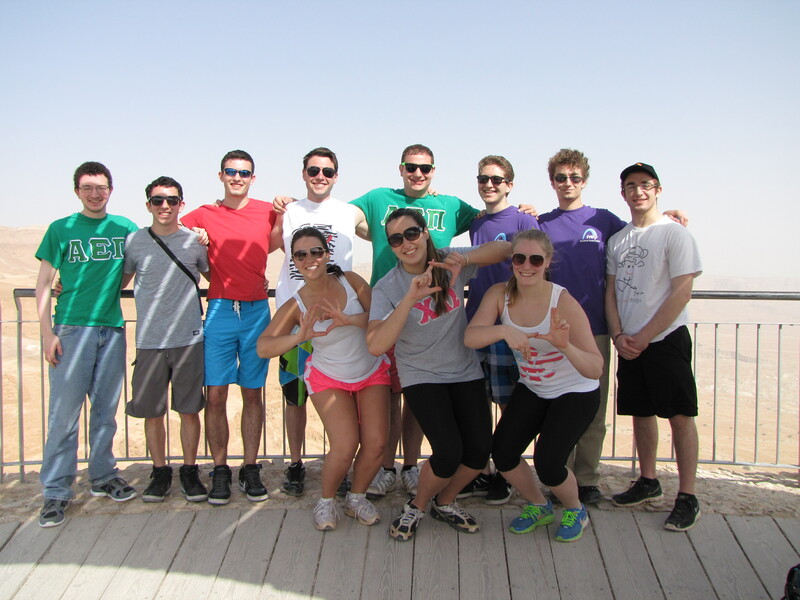 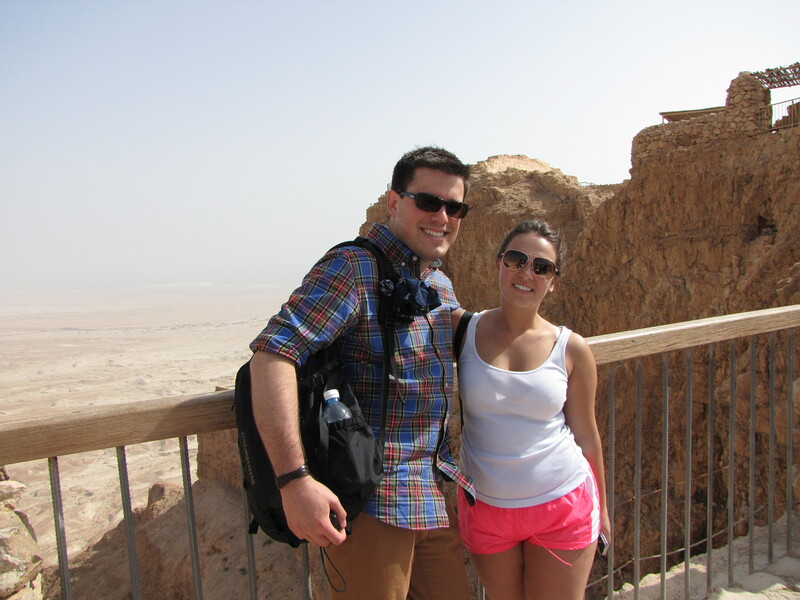 Masada is located in the Judaean Desert overlooking the Dead Sea. 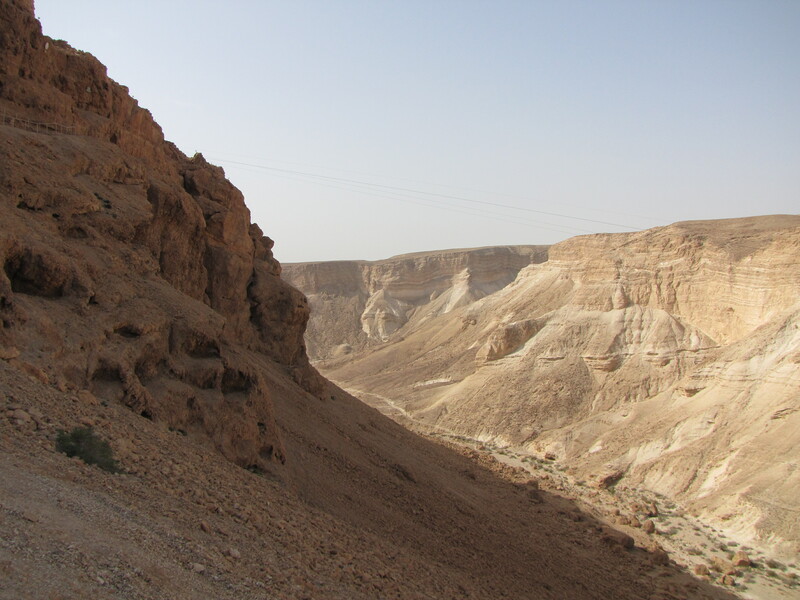 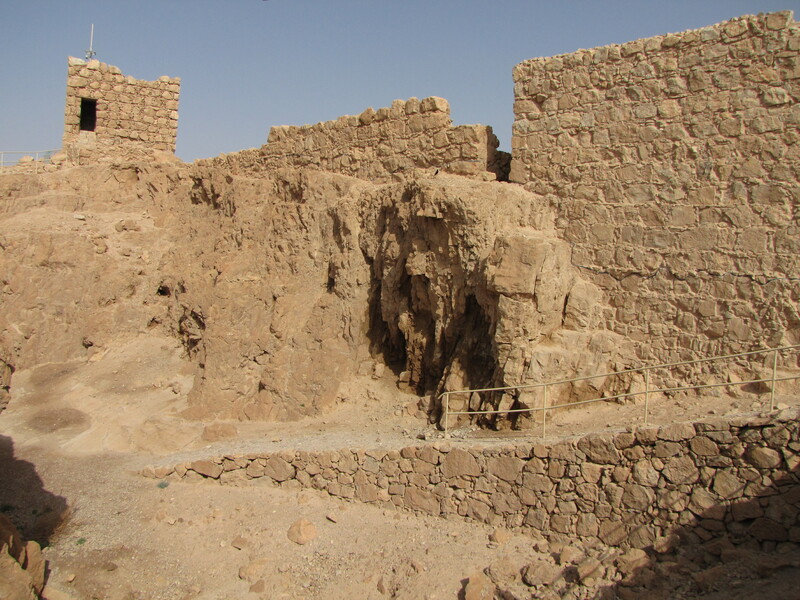 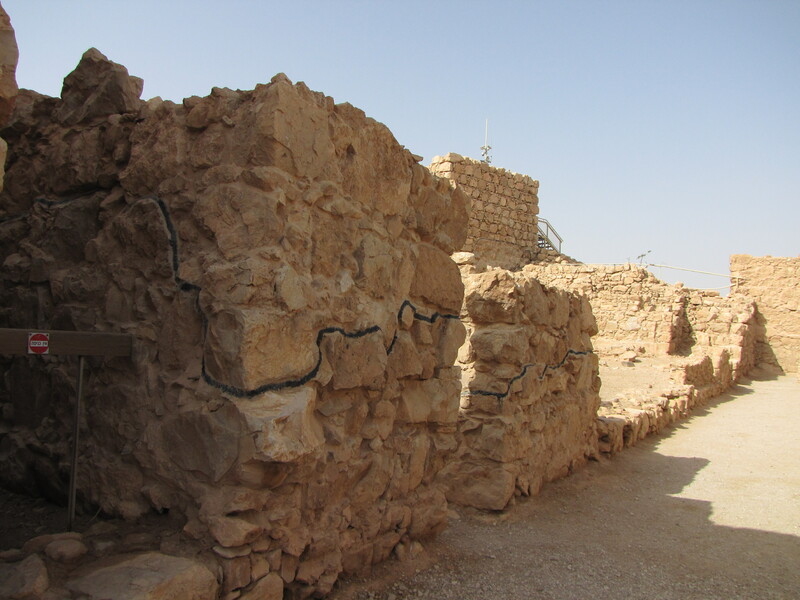 Atop the plateau stands the ruins of the walled palace that Herod the Great built between 37 and 31 BCE. 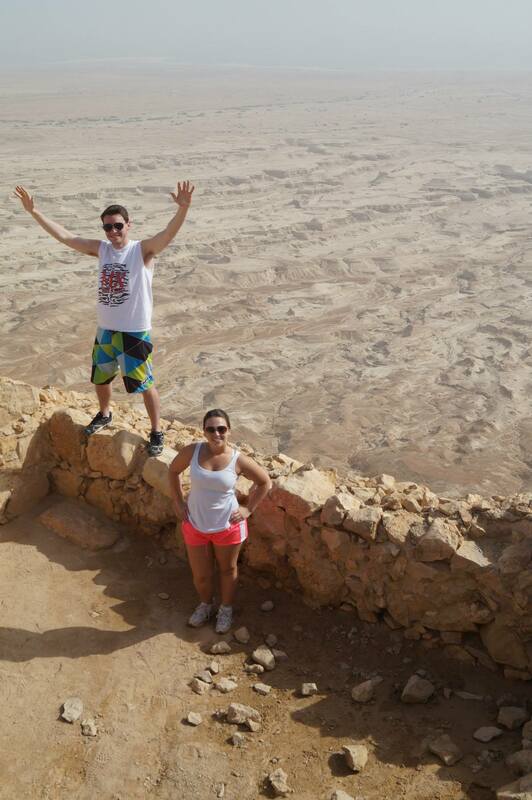 Masada is the one of the most visited sites in Israel and is a national symbol for the country. 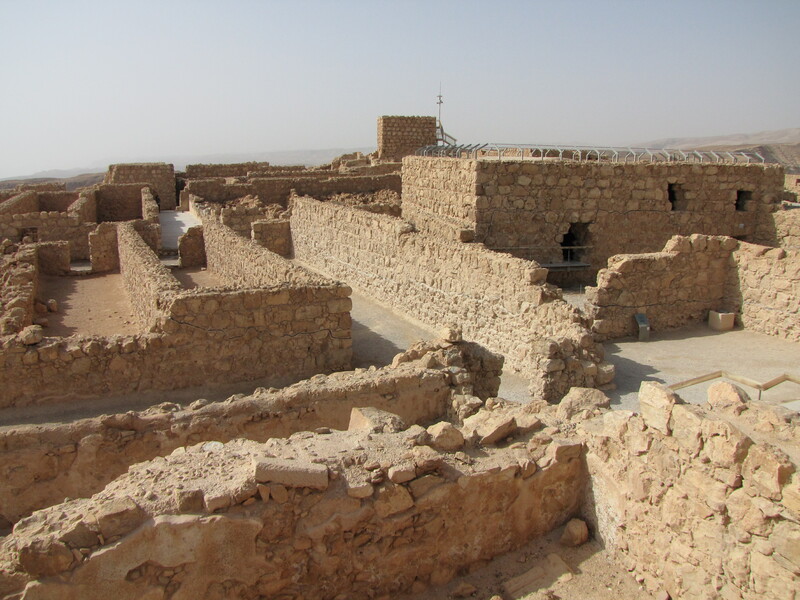 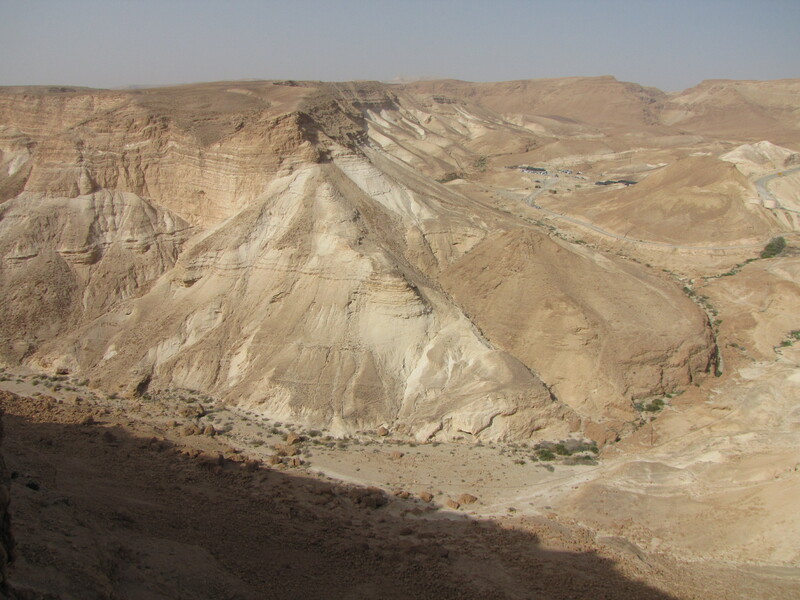 The Siege of Masada lead by the Roman Empire ended in the mass suicide of under 1,000 Jewish rebels and their families who had sought refuge within the walled city. 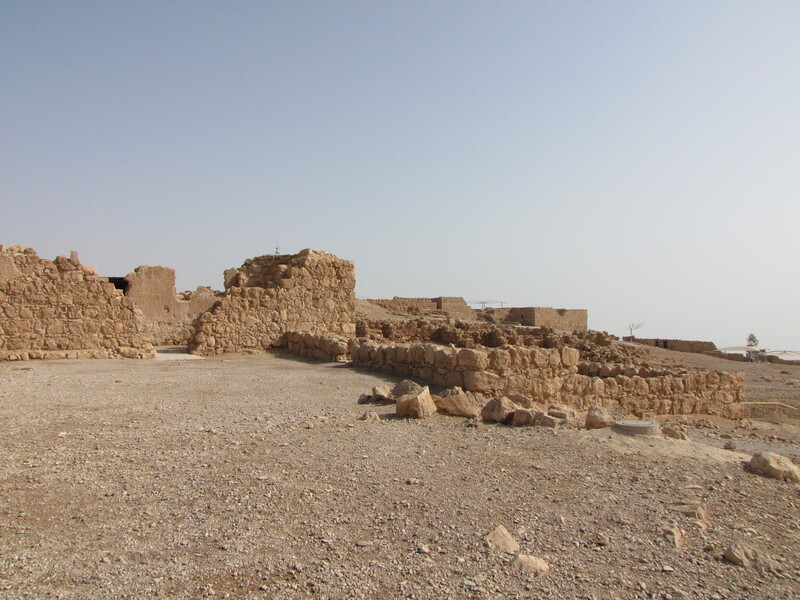 The people chose to “live as free men” rather than be captured by the Romans, thus they believe their only choice was to all fall together. 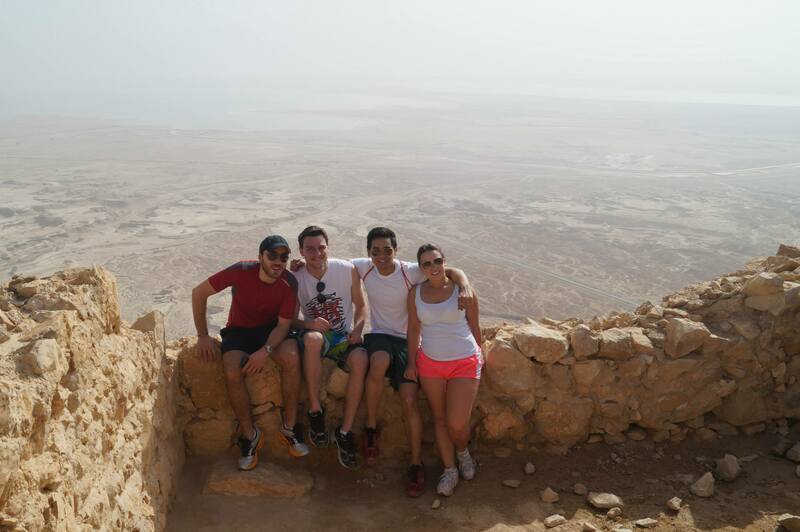 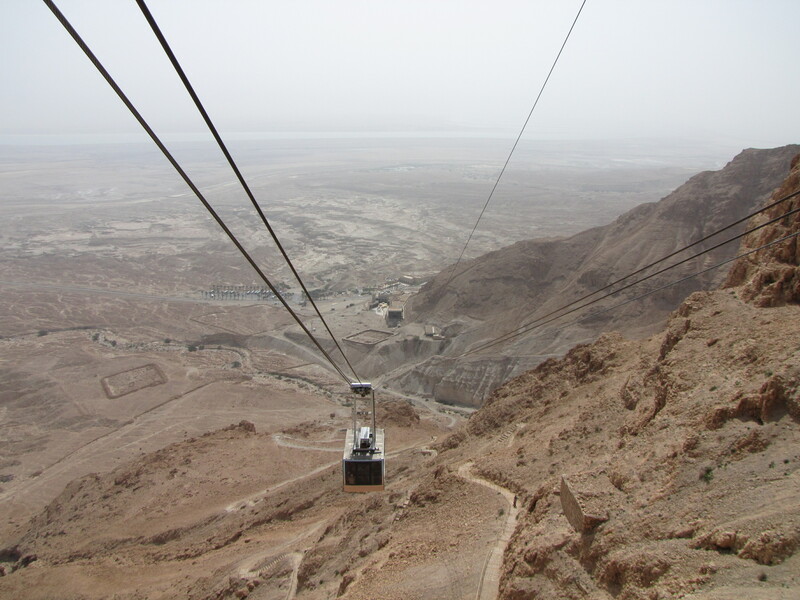 Instead of hiking down, we took the cable car so we could have more time splashing around in the Dead Sea!